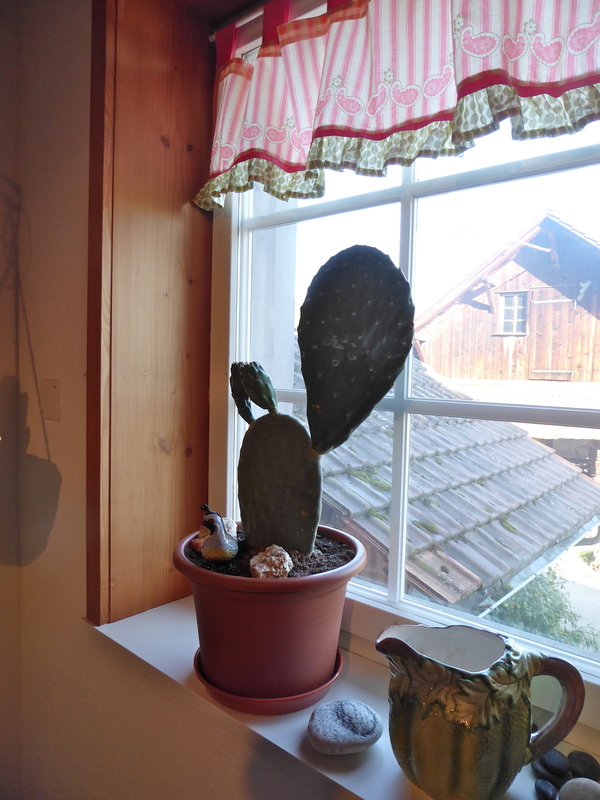 This is about how a friend and a cactus reminded me of: listen within and be your self, we are all one. Somehow that took a big load off my heart and I can now freely be myself. Thank you for that reminder. I am home in the Hermitage on the campus of the University of Healing at that time. I am preparing for my travels to my Swiss Hermitage. I go through all my stuff and choose what I would like to take along. I grow beautiful cacti around the Hermitage. I love them and would dearly like to take one along with me to Switzerland. I am not sure if I am allowed to do so. I contact the office in charge. After only a week I get an answer; You are not aloud to take these cacti overseas for they are protected and need special travelling papers. I leave the campus with a full heart, full luggage bags but no cacti. The first week in Switzerland I spend nesting in my new home. I am happy and content. In no time a month passes by while I am having lots of fun with family, friends and work. I get the morning off work today. It is a beautiful morning. I jump on the bicycle and bike to a village close-by to do some shopping. After having run my errands I decide to check out a huge hobby and building shop for the fun of it. They have a big plant section. I leisurely stroll through this section. Suddenly something inside me makes me stop. I stand quietly and listen. I look around me. There, on top of a shelf amongst all sorts, he stands. He looks pretty sad. He looks unloved. I walk up to him, “what are you doing here? Yes, it is a cactus and it is exactly the same kind that I grow on campus. I pick him up in his tiny uncomfortable pot and take him to the cashier. Luckily I have a basket on the back of the bike. I nestle Mister Cactus amongst my other shopping so he can travel comfortably home with me. When I get home I put him on the garden table where he can soak up some sunshine and fresh air. 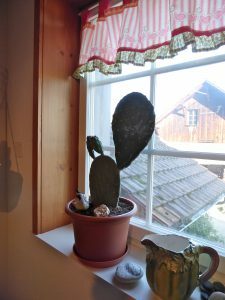 In the mean time I organize a big flowerpot and cactus earth from our village shop. Now he stands happily on my window sill where I imagined him standing already months ago. He is whole and perfect and a joy to look at. I just had to listen and be myself. We are all one.